Greenpeace teams with makers of musical instruments to help save forest habitats. Martin, Gibson, Fender and more. There is a new sustainability initiative that partners the environmental group Greenpeace with prominent musical instrument manufacturers such as Gibson, Martin, Taylor, Fender, Guild and Yamaha, as well as artists, tonewood suppliers, instrument retailers and music industry associations that include Luthiers Mercantile Intl, Pacific Rim Tonewoods, North American Wood Products, Allied Lutherie and more. 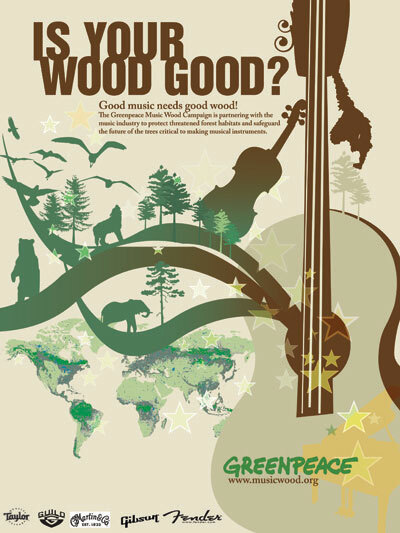 The Greenpeace MusicWood Campaign is designed to protect threatened forest habitats and safeguard the future of the trees critical to making musical instruments. 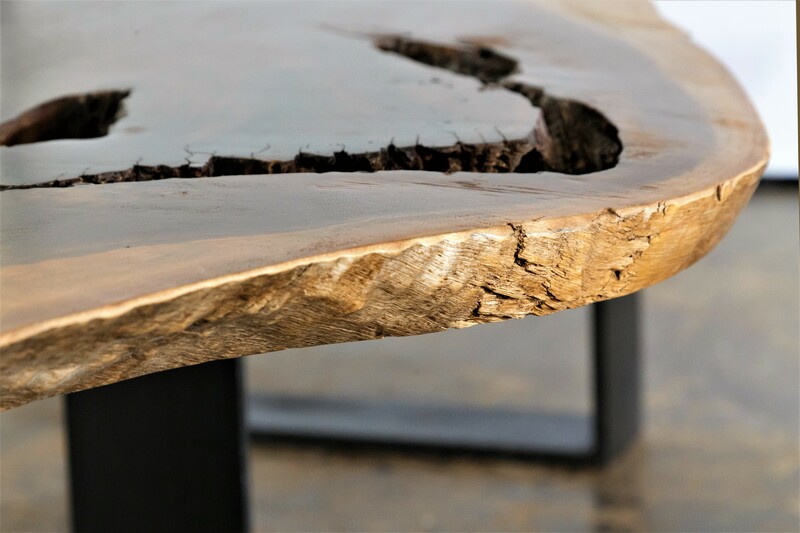 The goal of the campaign is to âincrease the availability of traditional woods used by musical instrument manufacturers that can be certified to the exacting management standards of the Forest Stewardship Council (FSC),â according to Greenpeace. Scott Paul, forest campaign director of Greenpeace USA says that it discovered much of the sitka spruce â a low volume, high value wood â harvested in Southeast Alaska had internationally known musical instrument manufacturers at the other end of the supply chain. âA lot of the logging companies in Alaska understood that musical instruments were being made from wood that they cut,â he says. âBut I donât think anyone realized how significant or how much of a percentage of the sitka spruce was ending up in the thousands of manufacturers of guitars. Paul says that the presentation addressed the fact that the majority of the attending companiesâ spruce supplies were coming off lands in Alaska where the supply of available trees of the caliber neccessary to build their instruments was â though not to the point of extinction â definitely in question. Paul adds that some of the companies involved were already looking into these issues, but that the coalition makes the odds of making an impact greater. 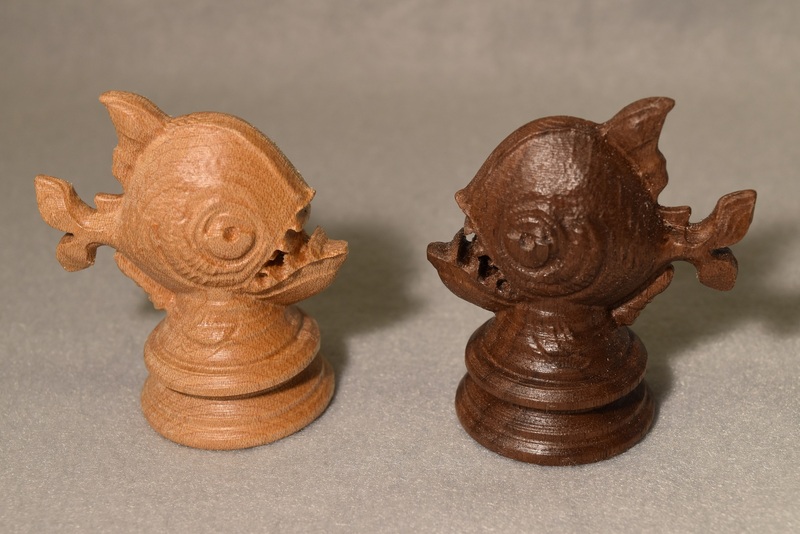 For more information about the MusicWood campaign, visit musicwood.org.